Here's our summary of 10 watches which we think are worth considering if you are looking for a high quality luxury watch. Some of these timepieces have won awards whilst others include several features which you'd associate with the best watches. 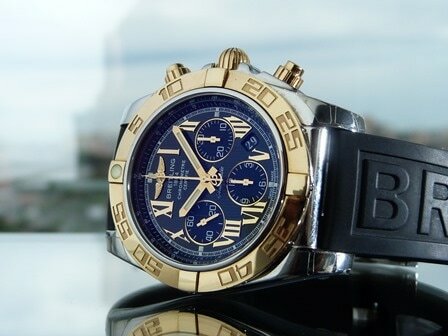 We've include prices from about £100, up to watches which cost tens of thousands of pounds. Hopefully we'll show that you don't need to spend thousands of pounds to get fancy features and a watch which should last for decades. Our top 10 watches guide includes several of the biggest names in Swiss and Japanese watchmaking, including Rolex, Omega and Citizen. OK, so you won't get the world's finest watch for £125, but you can get a well built watch with some features that you would associate with big name luxury men's watches. 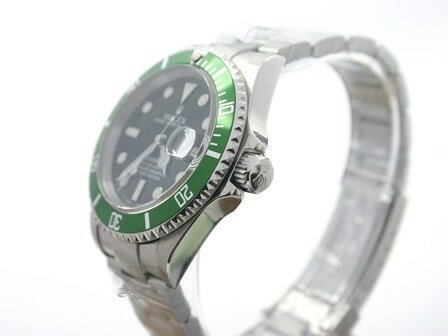 It also happens to have a similar styling to the Rolex Submariner, which will set you back about £5000. Japanese companies like Seiko have a reputation for quality and accuracy, although they don't carry quite the same prestige as a Swiss watch in my opinion. This particular model - the Seiko 5 - is one of the cheapest watches we've found with automatic movement. That means it doesn't take batteries and relies on your own motion to keep it ticking (which is a must-have feature for most watch nerds). It is water resistant to 100m, so it would be OK for a swimming pool but not for diving (the 100m rating doesn't relate to how deep you can take it...confusing eh?). The front of the watch (the crystal) is made from mineral rather than the more robust sapphire which more luxurious watches use - but, come on, it's only £125. 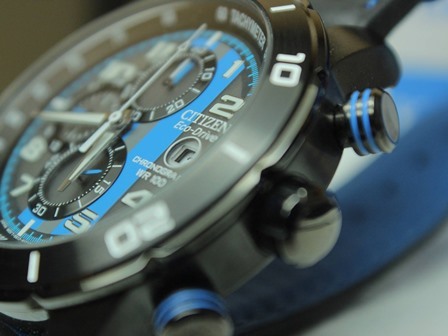 This Citizen watch is a clever hybrid which is both a super accurate quartz watch whilst also not needing a battery. Normally, you need to choose between one of those two features (even a £10,000 chronometer watch will get out of sync eventually). Instead of a battery it is powered by a small solar panel on the watch face (the 'Eco Drive') and thanks to 'Atomic Timekeeping' it can claim to be the 'most accurate watch in the world'. Does it matter if other watches go out of time by a couple of seconds each week? Not really, but it's still an appealing feature. It is made in Japan - not the centre of world watchmaking (which is Switzerland) but still a country known for making high quality timepieces. It's also got a sapphire crystal - which means that the front of the watch (the transparent bit) is very tough and unlikely to get badly scratched. The water resistance rating is 200m, which is superior to the Seiko 5 and means it *should* be fine for diving. Tissot is one of the cheapest of the high quality Swiss watch brands, with their cheapest models starting at £100. However, if you want luxury features you'll need to spend about £350 - £700. I've chosen one of their Le Locle watches, which is a range named after the Swiss village where they are made. For the money, you get an automatic watch (so it doesn't need winding up and doesn't need a battery) which also has a tough synthetic sapphire front (the 'crystal' if you want to get technical). Unlike most watches on this list, it has a leather strap. If you want to be really traditional, you should wear a watch with a metal strap at work and a leather strap as evening wear. In the real world, you can wear it when you want. It's water resistant up to 30m, although just to confuse you that doesn't actually mean you can take it diving to a depth of 30 metres. I'd personally avoid getting it wet, besides the odd splash from the sink. Swiss brand Rado make some Quartz watches and some Automatic watches and - in my view - they have some really nice designs which have got personality without looking odd. Personally I like their Centrix and True ranges for men and have picked this one out. It's a quartz model, which won't appeal to everyone but it has a tough sapphire crystal, so you hopefully won't scratch the display five minutes after opening it. This model is only splashproof, I wouldn't test it out in the swimming pool unless you like to live dangerously. I hesitated slightly before including Gucci in this best watch guide as some watch fans prefer brands which are primarily known as watchmakers rather than fashion labels. You are undoubtedly paying quite a bit for the designer label and you often don't get the features such as an automatic movement that you'll get for similar money from watchmakers. However, Gucci is one of the leading names in the large section of the watch market which includes stylish designs alongside decent build quality. You'll find their watch designs are often more quirky than traditional watchmakers, so they appeal to modern men who don't want to follow the crowd with the familiar designs of an Omega, Rolex or Tag Heuer. Gucci has the added appeal of making watches in Switzerland, which is the centre of the watchmaking world and is a badge of honour. 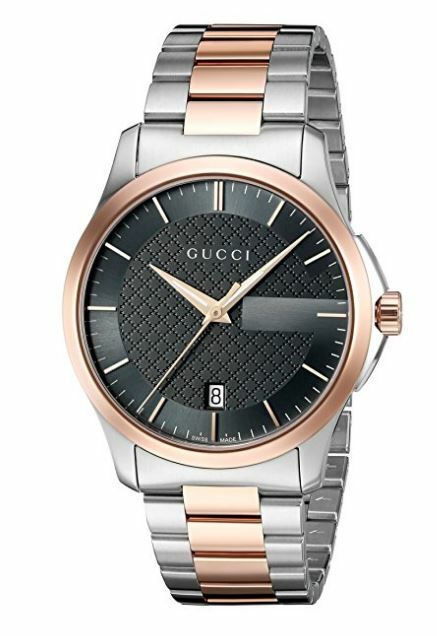 I've chosen a watch from the Gucci Timeless range, which has a quartz movement and a tough sapphire front (or 'crystal' if you want to use the proper term). It is water resistant enough for a trip to the swimming pool, but not for all that shipwreck exploring and Olympic diving you do at the weekend. If you want a Gucci watch with an automatic movement you'll need to pay about twice as much (around £1000+). Tag Heuer watches tick a lot of boxes for me, as they a) regularly win prestigious awards b) they have legacy as a fine Swiss watchmaker and c) they start at prices which are comparable to a week's holiday rather than a semi-detached house in Middlesbrough (see Patek Philippe at the bottom of the page). Thanks to their sponsorship of Formula One, they have a range of watches which will appeal to those motor racing fans who like to discuss downforce and diffusers. There are other Tag Heuer Formula One watches which start from less than £1000 but if you want a classy automatic watch (as opposed to a quartz watch which uses a battery) then I'd go for something like this. ​Other quality features include a sapphire crystal (that means the front of the watch is tougher than Ray Winstone). It is waterproof for diving, if you're in the mood. 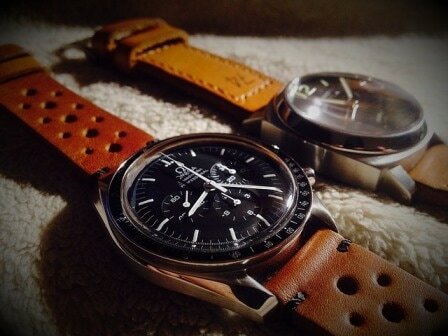 If you have your heart set on an Omega then I personally would choose between a Speedmaster and a Seamaster. The Speedmaster is famously the watch worn on every NASA mission, so has been to the moon and back. The Seamaster is the main watch worn by James Bond since Omega coughed up a (presumably) huge amount of money to persuade 007 to stop wearing a Rolex in the mid 90s. So you can pick whether you prefer your watch to be associated with Bond or Buzz (Aldrin, rather than Lightyear). I would say Seamaster is the more popular of the two (based on Google data around searches). The Rolex Submariner is probably the world's most famous watch by the world's most famous watchmaker. It's also one of the few watches which doesn't massively plummet in value in the second hand market. It built its reputation as a diving watch (as you may have gathered from the name) but remains popular with those of us who wouldn't know which end of a snorkel to blow into. During the Sean Connery and Roger Moore era, the Submariner was James Bond's watch, until the mid 1990s when Omega paid for 007 to switch brands (to the Seamaster). Nowadays, Bond films feel a bit like a long advert for global brands...but I digress. 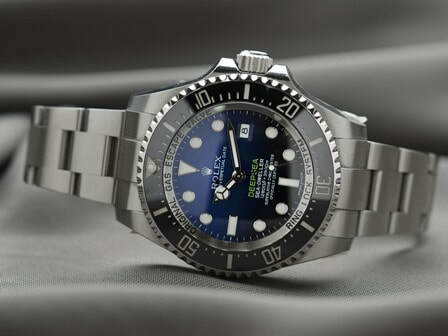 The Submariner been around since the 1950s with various tweaks and improvements over the years, such as increasing the depth to which you can dive with it. In terms of technical features, most Rolex Submariners are chronometers, which means they have been tested over several days by independent watch nerds in Switzerland. It's also an automatic watch, meaning you'll never need to buy a battery for it and it is as tough as old boots, so it should last for decades. It's hard to argue that a £5000 watch is an 'investment' but in terms of reliability, durability and sell on value, the Rolex Submariner comes close. The words 'Breitling' and 'quality' go together as easily as Morecambe and Wise, Lennon and McCartney or cheese and pickle. You can confidently go deep sea diving with your Breitling on Saturday and then take it for a few loops in your jet plane on Sunday. This is of course utterly unnecessary if you're a strategic business consultant who spends the weekend gardening and drinking wine but it does offer reassurance that your watch should outlive you. 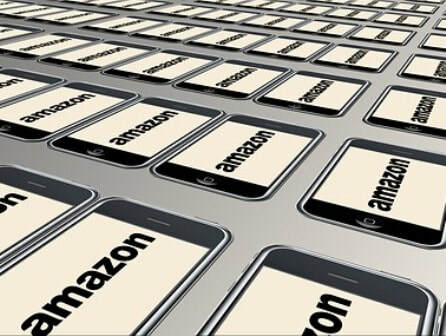 You can also be confident that it will keep accurate time. That may not sound like a great achievement for a watch which costs as much as a Dacia Sandero, but Breitling watches are chronometers which means they are sent to some nerds in Switzerland to check they don't lose time. Sure, a radio controlled quartz watch will be more accurate but where's the romance in an electronic timepiece when you can have an ingenious set of cogs and springs designed by a master horologist? If you can't quite stretch to the £7000 automatic Breitling watches then I would consider a Breitling Colt which costs about about a third of the price (£2500). The main difference is that it has a quartz movement but it is still built to survive on a diving trip. The Patek Philippe Nautilus is one of the most coveted watches by (arguably) the poshest of all the world's watchmakers. They've been making versions of the Nautilus since the mid-1970s, apparently after being inspired by the shape of a porthole (honestly, I thought portholes were rounder but I'm no sailor). At the time it was seen as a big deal that the watch company which supplied Queen Victoria and Albert Einstein was making a sports watch. As you'd expect, it's got most of the fancy features you'd associate with a luxury timepiece. Obviously it's got an automatic movement (if you're paying this much for a quartz watch I'd be somewhat concerned...). Most are waterproof to 120m, which means it would be fine for a swimming pool. What makes a £5000 watch better than a £5 watch?